On February 2, 2011, US President Obama gave the Middle East a clear unambiguous message: the United States will no longer back its allies. Arab countries had hoped that the only US ally that Obama was going to abuse was Israel, as witnessed by the callous and abusive treatment of Israeli Prime Minister Benjamin Netanyahu for the first two years of Obama’s presidency. However, on that February day, Obama pulled the carpet out from Hosni Mubarak, the long-time ruler of Egypt and loyal US ally. Obama made clear that the future was in the hands of the people of Egypt, not its leader and long-time US partner Mubarak. 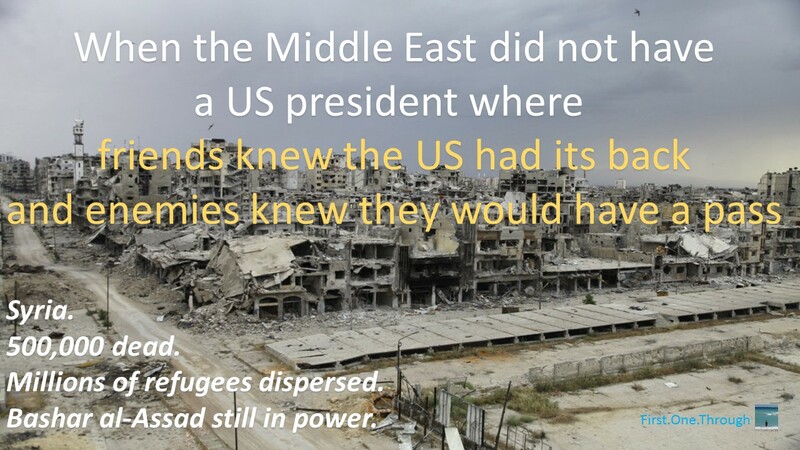 The rest of the Arab world was appalled by Obama’s actions. The leaders of American ally Saudi Arabia felt that Obama had no clue how things worked in the Middle East. You backed allies, not enemies. In Syria, the regime of Bashar al-Assad bombarded his own people with missiles and chemical weapons, but Obama set down fake “red lines” without ramifications. Enemies got a pass in the brutalization of its people. 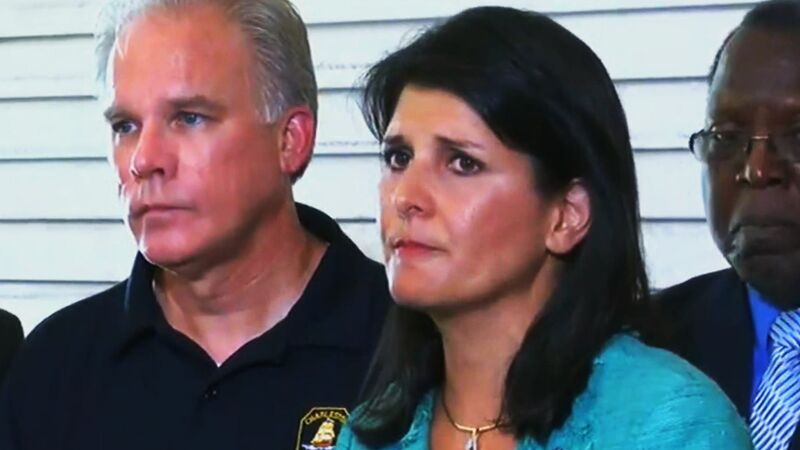 Friends were scorned, thrown out of office and arrested. It is still early too tell if the Middle East will be better suited under the model of protecting one’s allies. But it is all too apparent that enabling one’s enemies as under Obama, was a catastrophic failure. of being right, and raises at first a formidable outcry in defense of custom. Some political pretend-to-know-it-all pundits are taking to the airwaves to decry President Donald Trump’s recognition of Jerusalem as Israel’s capital. 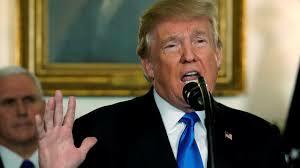 They have noted that Jerusalem is too sensitive a topic for the United States to endorse without approval from the Palestinian Authority and the Muslim and Arab world. 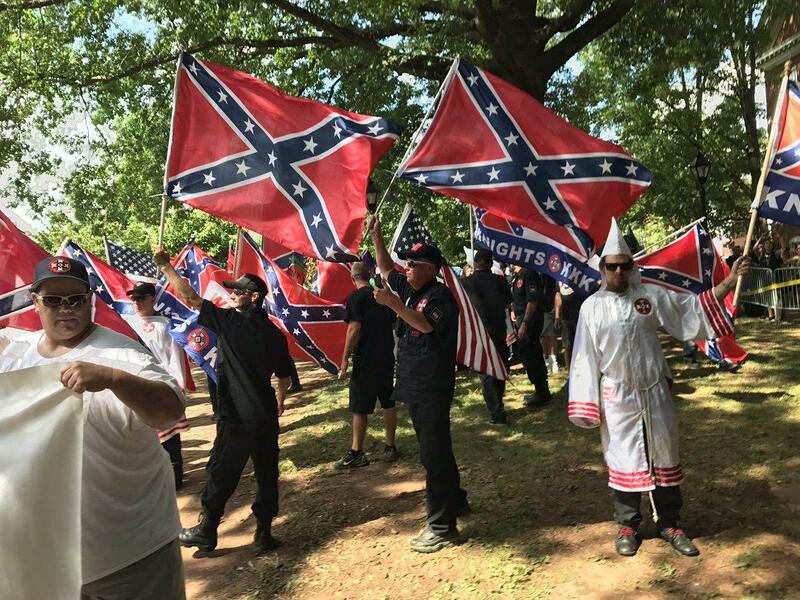 They are incensed that Trump has abandoned common practice of past presidents these last decades. But they are wrong. The issue of Jerusalem was settled in 1995, and not just by the US Congress, but by the Palestinian Authority itself. The United Nations wanted to reserve the “Holy Basin” of religious sites of the three monotheistic faiths into a “corpus separatum,” an international zone that would not be part of either a Jewish State (which would have a minority of Arabs) nor of an Arab one (which would have a minority of Jews). 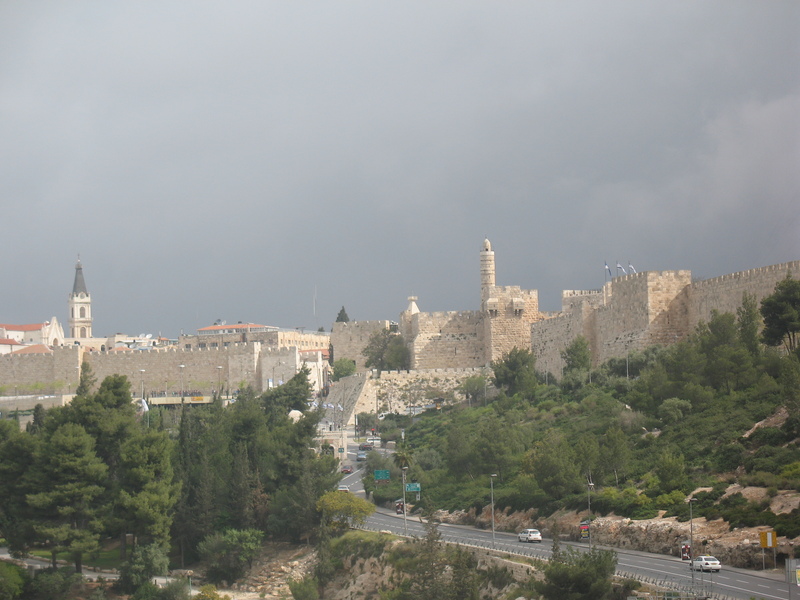 This area included greater Jerusalem and greater Bethlehem. The Arabs of Palestine and the greater Arab world rejected the plan, while the Jews of Palestine and many countries at the United Nations supported the plan. It would never go into effect. As soon as Israel declared itself an independent country in May 1948 when the British ended their mandate, armies from five Arab countries invaded Israel. At war’s end, Israel took control of the western part of Jerusalem while Jordan took control of the eastern half of Jerusalem and all of greater Bethlehem and the West Bank. The Jordanians and Israelis would sign an Armistice Agreement in 1949 establishing the contours of non-belligerency, but not peace. That line became known as the “Green Line.” The countries of the world recognized Israel’s borders west of the Green Line, but did not recognize the Jordanian annexation of the West Bank, eastern Jerusalem and Bethlehem. 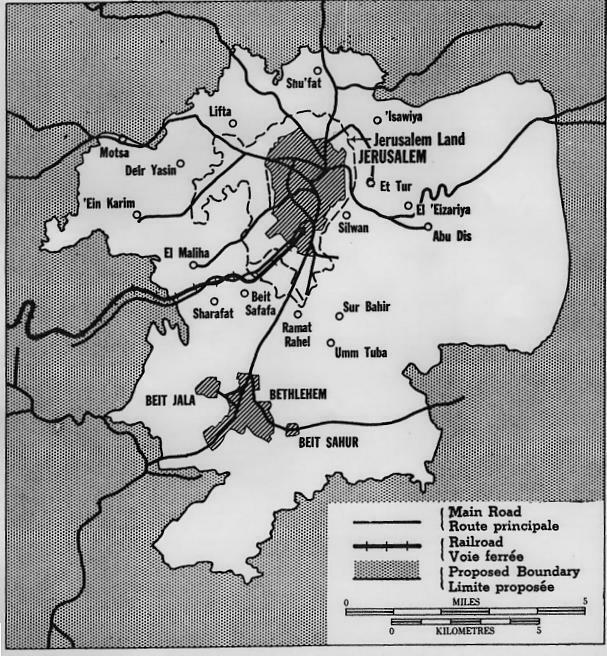 While the world recognized the expanded borders of Israel beyond that proposed in the 1947 UN Partition Plan, it would not recognize the western half of Jerusalem as Israel’s capital, in the hopes that peace could be established with inclusion of aspects of corpus separatum in a peace agreement. Things moved in the opposite direction. The Jordanians expelled all Jews from their section of corpus separatum and forbade the entry of Jews into the Old City. They would offer citizenship to all Arabs who lived in the area, and specifically exclude any Jews from obtaining Jordanian citizenship in 1954. In June 1967, the Jordanians (and West Bank Palestinian Arabs since they had taken Jordanian citizenship), attacked Israel again and lost all of the land they had illegally annexed including the eastern portion of corpus separatum. Israel rescinded the ban on Jews living and visiting their holiest city of Jerusalem and tore down the barbed wire that had split the city in two. It also enabled all Arabs who wanted to obtain Israeli citizenship to apply. Thousands of Arabs have done so. Some countries moved their embassies to Jerusalem in the wake of the announcement, such as Costa Rica in 1982 and El Salvador in 1984, in the hope of winning political and economic support from Israel. However, both countries moved their embassies to Tel Aviv in 2006, in the hopes of establishing stronger relationships with the Muslim and Arab world. The Israelis and Palestinian Arabs reached an agreement to begin a peace process in 1993. Two years later, in September 1995, they signed the Oslo II agreements. Those agreements put the nails in the coffin for the concept of an international body overseeing corpus separatum. First, the Palestinian Authority recognized that Israel controlled Jerusalem. Any decisions that happened with Jerusalem would be done in conjunction with Israel. This is a far cry from what people see and read today, where everything that Israel does in Jerusalem is described as illegal and subject to condemnation at the United Nations Security Council. Further, the PA only labeled Jewish towns in Gaza and the West Bank as “settlements.” Jews living in Jerusalem were specifically excluded from being labeled as settlers. Today, acting-President of the PA, Mahmoud Abbas cannot blink his eyes without calling Jews in the Old City as “right-wing settlers” and “colonialists,” even though the last agreement signed by both Israel and the PA clearly stated that they were not settlers. Most significantly, the PA and Israelis agreed to begin to chop up the corpus separatum. The concept that it would be an international city was dismissed, as the Holy Basin would be divided between the two parties. This began in practice shortly after the Oslo II Accords were signed, as Prime Minister Benjamin Netanyahu handed over control of Bethlehem to the PA in December 1995. But legal scholars debated whether Congress had the ability to make such determination, as only the executive branch had constitutional authority to set foreign policy. That question ceased with Trump’s declaration. Despite most of the world recognizing Israel’s sovereignty over western Jerusalem and Palestinian Authority control over Bethlehem, many continued to contort themselves as to why they did not move their embassies to Jerusalem. Countries contend that the 1947 UN Partition Plan with corpus separatum continued to have merit, even though the principle parties had moved past that formula many years ago. Countries defend their refusal to move their embassies to Jerusalem because the Arabs do not recognize any claim of Israel to Jerusalem. But the Palestinian Authority has not officially recognized Israeli sovereignty over western Jerusalem any more than Tel Aviv. Therefore, how can the location of the embassy have more credibility in Tel Aviv than Jerusalem? 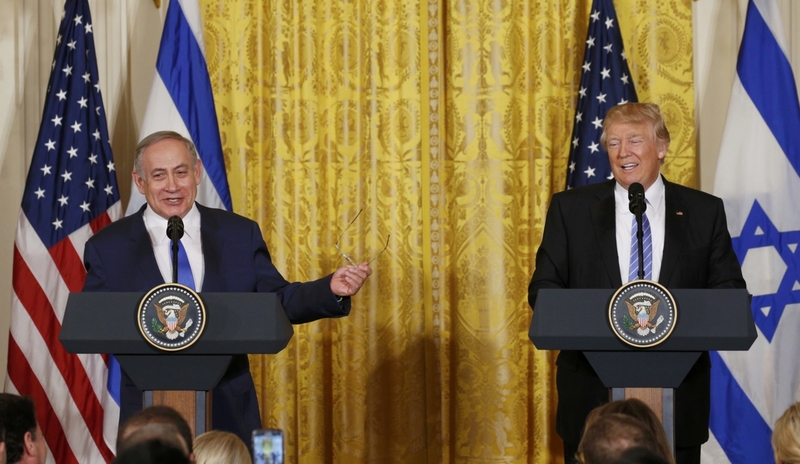 Countries believe that Jerusalem is matter for the Israelis and Palestinian Authority to determine, but Trump said the exact same while announcing the move of the US embassy to Jerusalem. One does not preclude the other. A great American patriot, Thomas Paine, pointed out that people have a tendency to be lulled into the belief that a status quo is a proper course of action. They come blinded to the wrong and comfortable with its stench. They will even contrive reasons to rationalize the offense. Both reason and time have demonstrated that the path to peace does not reside either in minds that deny the truth or hearts that curse the obvious. 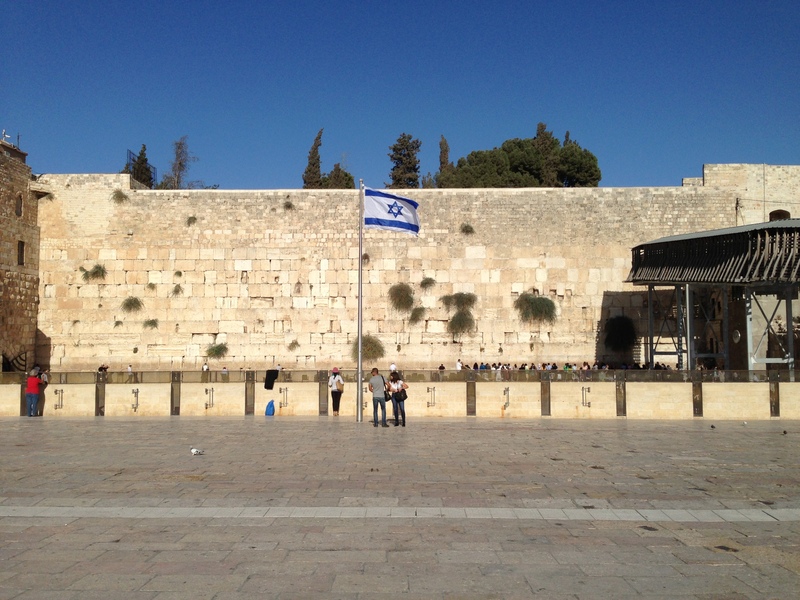 Israel’s capital is Jerusalem and should be the home of all foreign embassies. It is indeed a plain reality. And it is also a reality that pains many Arab and Muslim nations. Therefore, some people and nations that have sympathy for those angry parties have continued to deny reality. They have tried to isolate Israel. 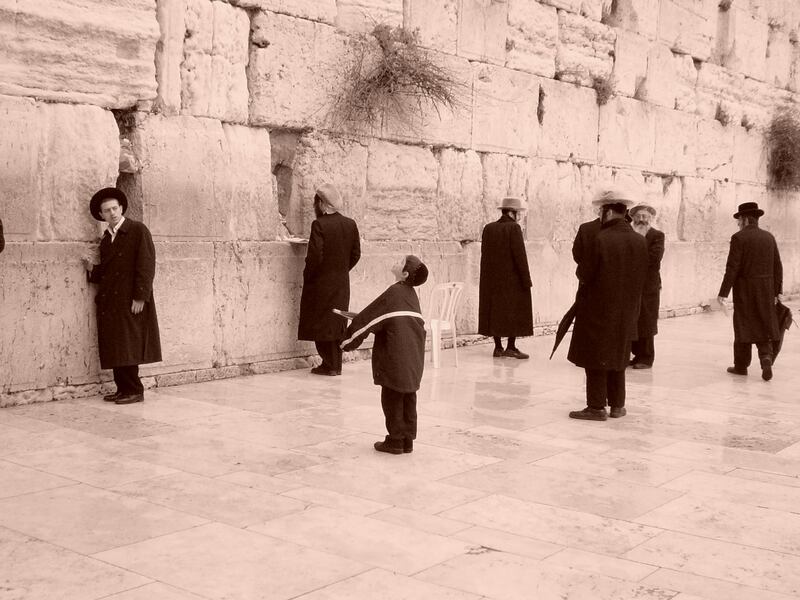 To deny the Jewish State the air of normalcy. But true leaders through the decades since Israel’s founding distanced themselves from the angry Arab and Muslim mob, and placed reality and decency first. 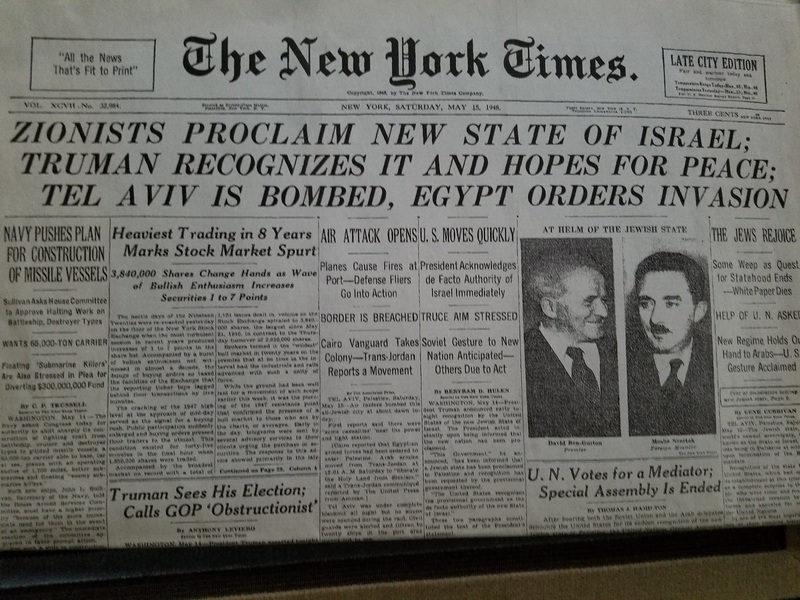 Country (1948): In 1948, US President Harry Truman recognized the State of Israel, even while Arab nations went to war to destroy the nascent country. To this day, many of those angry Arab and Muslim nations still refuse to acknowledge the existence of Israel. Borders (1949): In 1949, at the end of Israel’s War of Independence, the US and many nations recognized Israel’s expanded borders beyond those outlined in the 1947 UN Partition Plan, even when the Arab countries refused to recognize them. Citizenship (1954): In 1954, the world recognized the importance of citizenship by awarding the Nobel Peace Prize to the UN High Commissioner for Refugees in dealing with the millions of refugees from Europe after World War II and the Middle East. Many of those refugees were Jews that survived the Holocaust and others expelled from nearly a dozen Arab countries. Meanwhile, in that same year, the Hashemite Kingdom of Transjordan, that had expelled all of the Jews from eastern Jerusalem and the West Bank, specifically excluded Jews from getting citizenship. Peace (1948, 1967): The world recognized the importance of settling disputes in a peaceful manner through negotiations, as enshrined in UN Charter (1945) Article 2, but Syria, Egypt and Jordan went to war against Israel again in 1967. After the Arabs lost, the entire Arab world implemented the Khartoum resolution: no peace with Israel, no recognition of Israel and no negotiations with Israel. Freedom of Movement (1968 to today): Civilized nations recognize that people should be allowed to travel by airplane freely. Unfortunately, Palestinians upset with Israel, began hijacking planes in 1968 and through the 1970s, including the infamous 1976 Entebbe hijacking. Angry Arab countries continue to deny the basic rights of movement to Israelis, such as the November 2017 ruling that Kuwait Airlines refuses to transport Israelis. Athletes (1972 to today): The world recognizes and appreciates the camaraderie and competition of international sports. However, angry Palestinian Arabs murdered Israeli athletes at the 1972 Summer Olympics. Arab countries today continue to refuse to compete against Israelis, show the Israeli flags or play the Israeli national anthem at competitions. Self-Determination (1975 – 1991): US Ambassador to the United Nations Daniel Patrick Moynihan recognized that Zionism is a natural movement for self-determination like all nations display. However, the Arab and Muslim nations put forward UN Resolution 3379 equating Zionism as a form of racism. It would not be repealed until 1991. Arab leaders continue to call Zionism a form of colonialism. 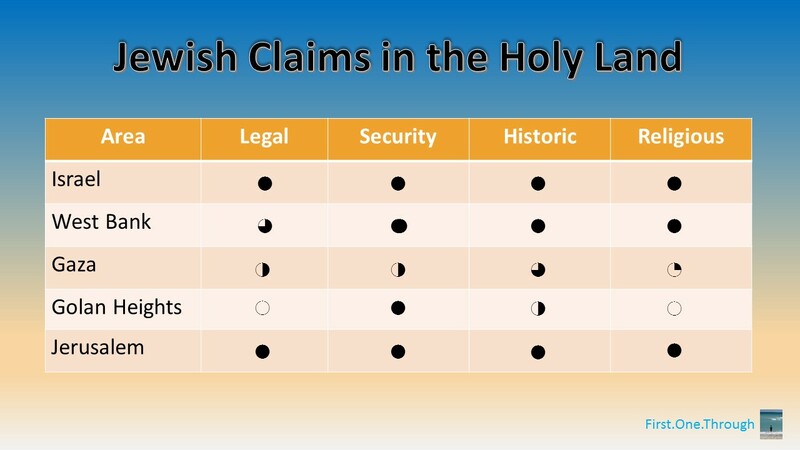 Rights to Holy Places (1949-1967; 1980 / 2000): Israel recognized the importance of freedom of access to the holy places of Jerusalem and enshrined such commitment into law, the exact opposite of how Arabs governed the Temple Mount under Jordanians from 1949-1967 when they denied Jews any access to the Old City of Jerusalem. When Ariel Sharon visited Judaism’s holiest site in 2000, the Palestinian Authority launched a multi-year “Intifada” killing thousands. Terrorism (1997, 2006): The US labeled Hamas and several other Palestinian groups as foreign terrorist organizations, in recognizing their incitement and acts of terror against Israeli civilians. Meanwhile, Palestinians happily support these terrorist organizations, and elected Hamas to 58% of the parliament in 2006. Defense (2008, 2012, 2014): The United States recognized that Israel had a right to defend itself against the incoming rockets from Hamas in Gaza. However, the Muslim and Arab world was appalled at Israel’s actions and wanted Hamas to defeat Israel. Allies of the Arabs wanted Israel to be investigated for war crimes. 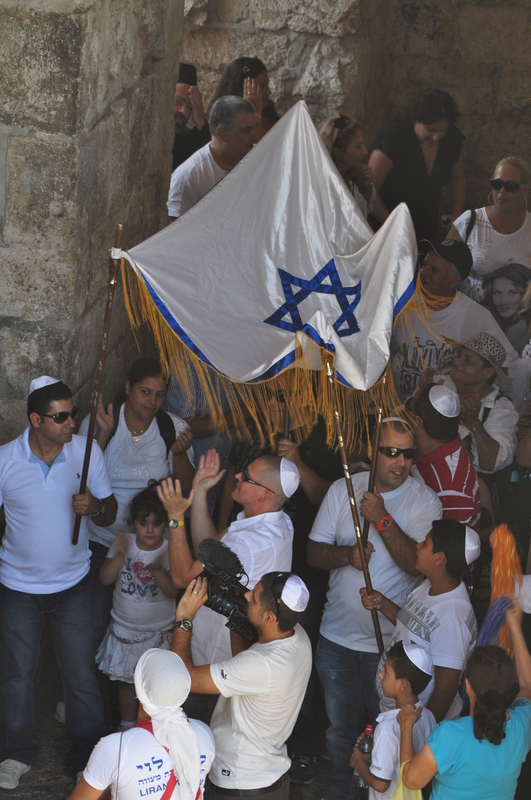 History (2009, 2015-): The United States and some western countries recognize the 3000-year history of Jews in Jerusalem. However, Arab and Muslim nations put forward resolutions at the United Nations which denied the history of Jews in Jerusalem and condemned Israel for “Judaizing” Judaism’s holiest city. What’s next? Will Arab and Muslim states push forward the notion that today’s Jews have nothing to do with the children of Israel in the Bible? 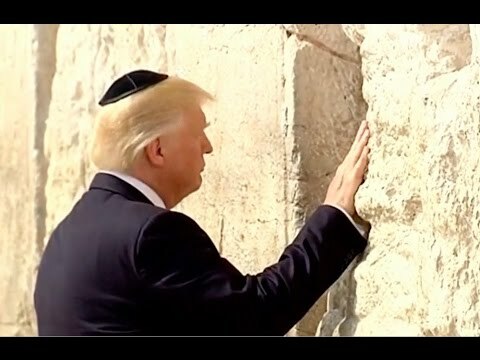 Will they say that Jews are not human beings but “sons of apes and pigs?” Will they advance a notion that the Jewish Temple never existed or that it was not located in Jerusalem? Will they contend that the Tomb of Rachel in Bethlehem is not the Jewish matriarch but a famous Muslim? That the Holocaust never happened? Maybe they will come up with conspiracy theories that the Israelis planned the terrorist attacks of 9/11 and that the Mossad uses sharks to attack tourists in Sinai. Should the world recognize reality or Palestinian lies which make Arabs more comfortable? Should world opinion be framed by the Arab view of history, attitudes of decency, and perception of reality? Many Arab countries like Syria, Lebanon and UAE refuse to recognize Israel to this day. Muslim countries like Indonesia also refuse to recognize Israel. Iran won’t even mention Israel by name. Should the US refuse to recognize the reality of Israel because of the insane attitudes of Arab and Muslim countries? Should the US refuse to recognize the reality of Jewish history in Israel because it offends Arab and Muslim sensibilities? Should Israelis just shrug off the insult of not having its flag and national anthem played during sporting events in Arab countries, because they know the reality of their victory? Or is it time to stop the insanity of ignoring reality because of the noxious antisemitism pervasive in the Arab and Muslim societies? President Truman will be forever remembered by Zionists for his willingness to recognize the new country of Israel within minutes of its declaring independence, even as Arab nations attacked Israel with weapons. Ambassador Moynihan’s passionate speech at the United Nations decrying the “Racism is Zionism” resolution while Arab nations pounced on Israel on the international stage, remains a highlight in the dark history of the United Nations. 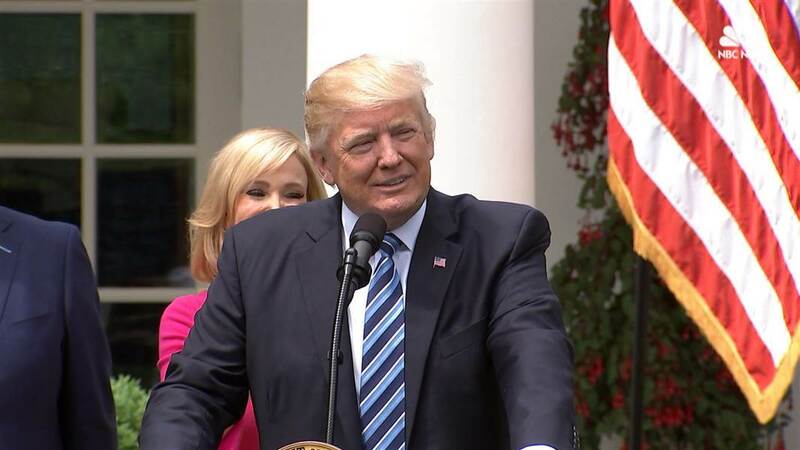 This week, President Trump joined those leaders and took a stand in the shadow of UN Resolution 2334 denying Israel’s rights in Jerusalem. Reality cannot be held hostage to hatred.